Call Saver Pro Reviews Recently Reviewed! Pros: Your able save, sort, and retrieve recordings of your phone calls on your computer. The call recordings are used for agent training purposes, to monitor performance, and to ensure quality of service to the customer. Your able filter and identify identify any recordings that require review. The system support allows you to retain and store calls for compliance or agent training purposes. Cons: When you lose a recording and cannot locate it on the system it is very hard to retrieve. Customer Support not always available. 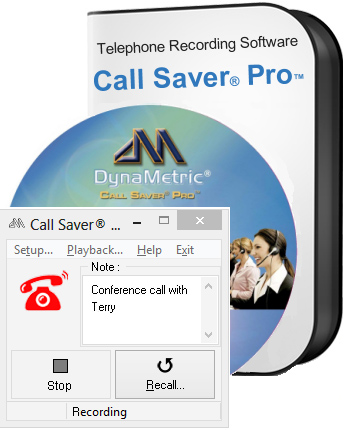 Overall: Call recording for training and performance. It is easy to use and convenient especially for a small business and home environment .